Distance: 20.4 kilometers (12.68 miles) with 805 meters (2641 feet) of elevation gain. Woke up this morning to Hugh saying, "Trish, Boston's been hit by a terrorist attack." The girls and I immediately got up and we spent the next half hour scouring the Internet for news of our loved ones. There are still a few people we haven't spoken with yet; I hope they are okay. Our thoughts are with everyone in Boston. Anything I write today is going to sound trivial considering yesterday's bombings. I know that. Nevertheless, I will go ahead and post today's report to keep the log going. First, I have often been asked if I have advice regarding getting kids into hiking. 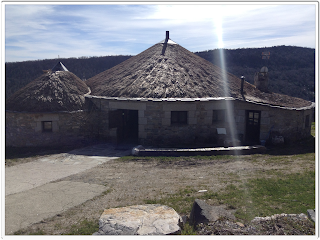 More recently, I've been asked if I can share tips on getting kids interested in the Camino or how to keep them happy while doing the Camino. Regarding the Camino: The only reply I can give is that if your child doesn't already hike or enjoy long walks, then spending the time and the money to take them on the Camino might be risky financially and emotionally. You don't want to pressure your kid into trying to enjoy something YOU want to do. In Alex and Sage's case, both have been hiking mountains for years. 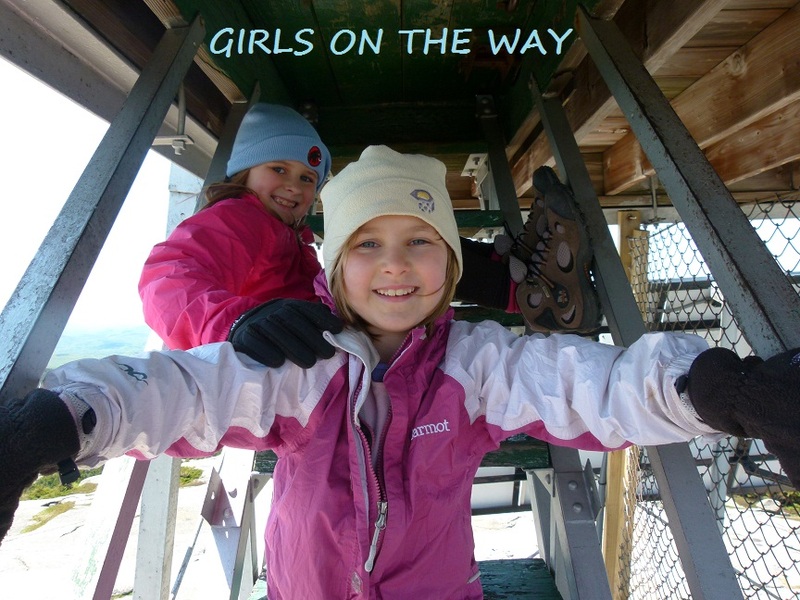 (Alex's earliest mountain hikes are chronicled in my book, UP: A MOTHER AND DAUGHTER'S PEAKBAGGING ADVENTURE, published by Broadway Books in April 2012). Alex and Sage made the decision to do the Camino. Hugh and I facilitated their wish, with the caveat that they use their hiking abilities and travel wishes to do something good for others (hence the fundraising for Global Fund for Women and GirlVentures). I've never tried to get them to like hiking, they've always enjoyed it. If they didn't, then we'd do something else. If you do bring your kids on the Camino and they've never hiked anything in their lives, then I think you need to be prepared to make every day THEIR day. They must decide how far to go, and they must set the pace. If that means five kilometers in four hours, then so be it. Their wishes must prevail, and you must adapt to their abilities. Otherwise, you set the stage for disaster. That's just my opinion. The day began with 605 immediate meters of elevation gain. The climb was broken up by towns with cafes, though..NH folks, think of a coffee shop every half mile when you hike Tecumseh. The path was wooded and it made us feel a tiny bit like we were in the Whites here. It was nice to go UP for a change instead of flat flat flat. The steepest and rockiest part of the day was between Herrerias and La Faba. For those of you using Brierley's guide, it might look as though all three sections going up to O'Cebreiro are equally steep/rough. Not so - the Way feels much easier once you're past La Faba. We lost Hugh at this point...he had decided to take the bike route instead of the walker's Camino and he wasn't where he said he would be...I sent him an email telling him to show up at the next town or we would send for the helicopters. Hugh was waiting for us outside a cafe when we walked into Linares. He had gotten turned around on a road and had ridden the wrong way for a while. Luckily, he had figured out his mistake before going too far. The sun was out in full force by now, but we were at high elevation and there was a nice breeze, so we all felt just fine. We continued to and through Hospital de la Condesa and arrived at Fonfria around 3pm. 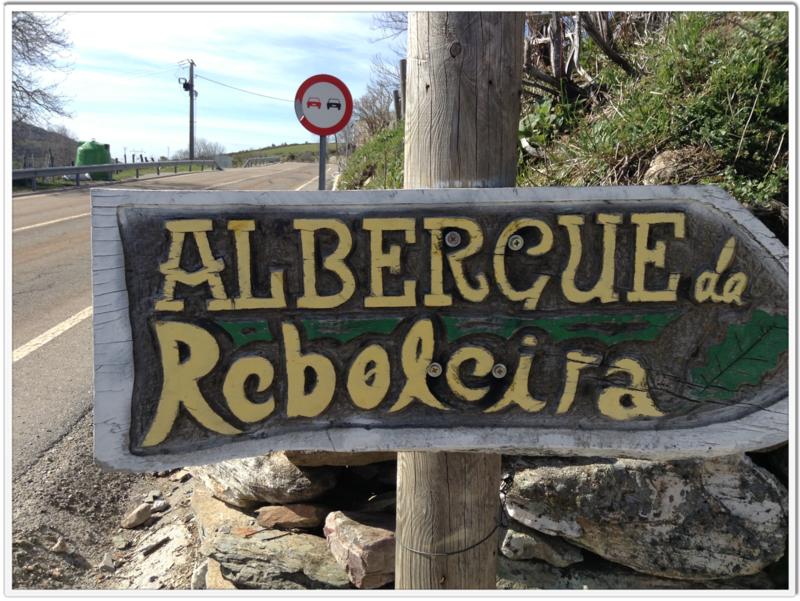 We are staying at the private albergue A Reboleira. It's a beautiful albergue with a large common room complete with multiple comfy chairs, board games, bookshelves, and artwork. Beds are eight Euros each or you can get a private room (we have a giant room with four beds in it and our own large bathroom for fifteen Euros a person). The hospitaleros are extraordinarily kind - they fixed us a delicious homemade pilgrim's menu and they allowed Hugh his own private, quiet space in their nearby restaurant so he could take calls and interviews related to yesterday's terrorist attack (unfortunately, a number of victims lost limbs and various media organizations requested interviews with Hugh regarding amputee-related issues). 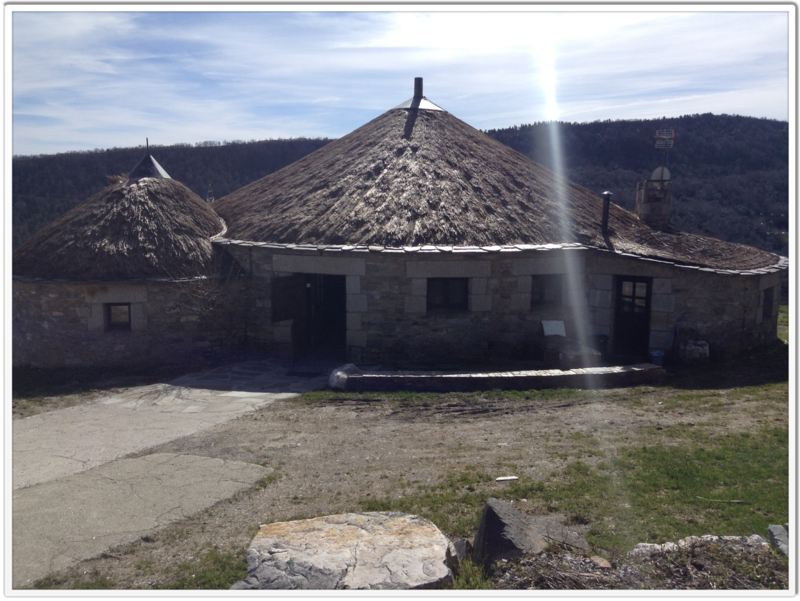 We highly recommend this comfortable albergue. The rooms are lovely, the common area is well-stocked, the food is delicious, and the hospiteralos are kind and extremely accommodating. We are glad we stopped here for the evening. The restaurant where Hugh took his calls and where the pilgrim's menu is usually served...I noticed there is a game room downstairs and a beautiful fireplace. I will go back when it's officially open tonight and check it out in detail. I just took a quick peek inside when Hugh went to take his calls but I didn't want to linger since I knew they weren't really open yet. Tomorrow we head toward Pintin...or San Mamed del Camino...or perhaps we'll go all the way to Sarria. Depends on how ambitious the girls are feeling and how hot it gets in the afternoon. Everyone is doing well - no leg pains, no foot pains (except for my big toe, which always hurts), and the girls' two small blisters are healing up (they never bothered the girls anyway...ah, the miracle of duct tape). Hugh's back aches a bit, but I think a good night's rest will cure that. Hugh's back from his interviews. I'm going to hand the girls over to him (they're playing chess in the common room) and go visit the restaurant so I can post this. There's usually WiFi here in the albergue, but it's down tonight for some reason. WiFi is abnormally slow and I can't post anything this evening. Will try first thing tomorrow in a different town. I really, really know how you can feel about Boston bombing. Sadly, we Spaniards, have been suffering terrorism in our bodies and souls for near 50 years. Our prayers are with all the innocent people whose lives are beaten for those b_st_rds. May the laws punish them. Harshly. Don´t lets them to change the customs of our civilitation, or the habits of your normal life. Buen Camino.